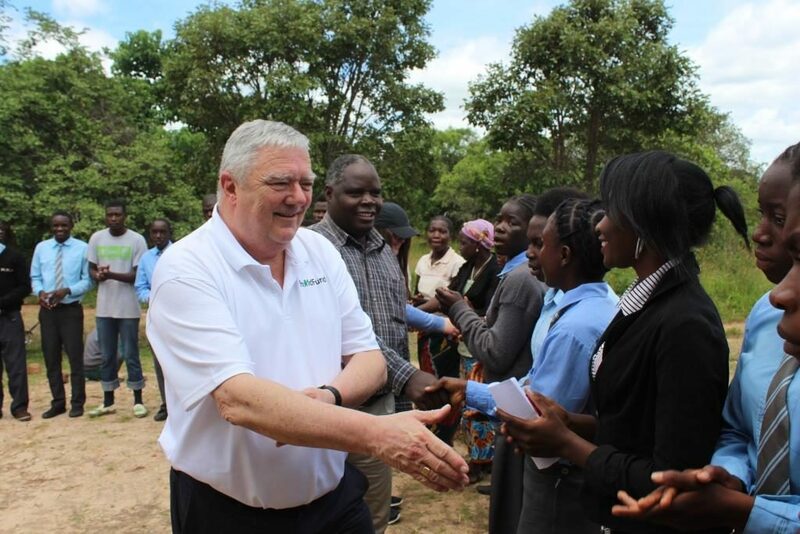 ChildFund Ireland is sad to say goodbye to our outgoing Chief Executive Officer Michael Kiely, who retires this month. Michael’s warmth, wit and patience, coupled with his passion for international development & justice, and a life-long dedication towards making the world a safer place for children, have seen him travel the globe, making friends wherever he goes. Our international colleagues in the wider ChildFund family we call ChildFund Alliance, summarise (further below) the impact of Michael’s leadership over the years. Prior to that, Michael, in his own words, describes what being at ChildFund has meant to him. “After many, energetic, sometimes challenging, but always enjoyable years spent helping to build awareness of ChildFund and our vitally important work for children overseas, I made the decision some months ago to step down as CEO at the end of this year. In my fourteen years at ChildFund I have been humbled by the opportunity to traverse the globe and witness the profound impact our work has had on children’s lives, and those of their families and neighbours in some of the poorest communities on earth. While daily life can be sometimes fragile and unforgiving in these rural communities, the abiding memories I will most cherish are of the colour, energy and sheer vividness of life in the developing world in all its complicated glory. 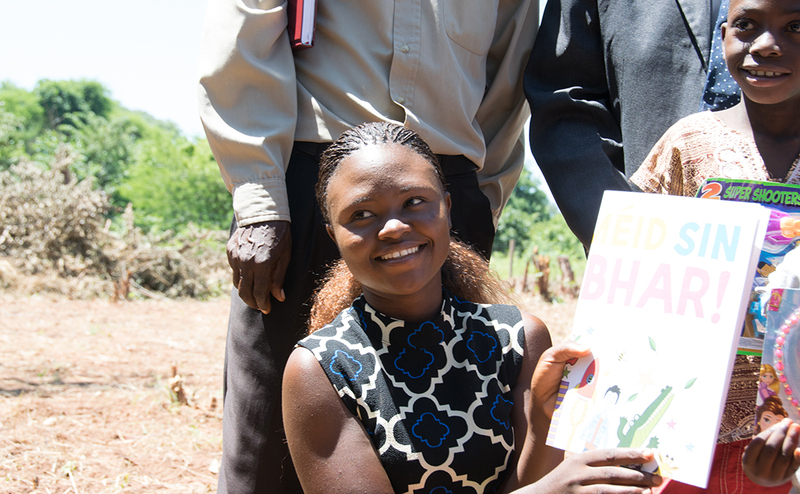 It has been a joy to see how the schools, networks and support structures developed with ChildFund’s assistance, have helped improve life for children and their families, creating safer spaces for children and ensuring that children’s needs are identified and their rights prioritised. I would like to take this opportunity to thank our hard working, dedicated staff here in Ireland, our programme partners overseas, and all my friends and colleagues in the wider ChildFund network, who never stop advocating for children’s rights on the international stage. I have loved every minute of my work with ChildFund and am immensely proud that we have been able to help so many children over the last fourteen years. This work would not be possible without the significant support of Irish Aid, enabling us to undertake important programmes to improve the lives of disadvantaged children in Sub Saharan Africa, and of other donors. To our individual sponsors; I cannot thank you enough for your incredible loyalty and generosity, which collectively helps to sustain the well being of sponsor children in eleven countries. Your support has enabled ChildFund to positively impact on so many children’s lives, in ways that are profound and lasting. Please continue to support our work, and please be proud of being a ChildFund sponsor. Your patronage provides a vital platform to help children as they journey towards a happier, healthier adult life, with better opportunities to break the cycle of poverty and disadvantage”. Throughout the conversation, a common theme emerged: Mick has a lifelong commitment to improving the lives of others through service. Before he joined ChildFund Ireland, he served for 10 years as Deputy CEO of the Irish international aid organisation GOAL, where much of his work focused on emergency response. He was Country Director for GOAL in Somalia for one year (during which the infamous Black Hawk Down incident occurred). 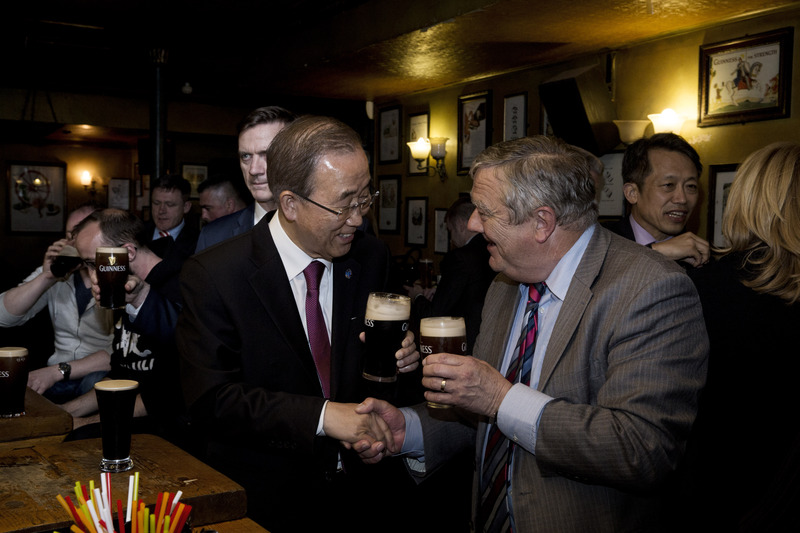 He also spent more than two decades with the Irish Defence Forces in conflict and humanitarian settings, including United Nations missions to the Golan Heights and Lebanon. One of the partnerships developed under Mick’s leadership of ChildFund Ireland is touching lives in Ireland and abroad. In 2015, ChildFund Ireland was awarded the Charity Partner of Choice status by the Camogie Association in Ireland. Camogie is an Irish team sport played by girls and young women; it is similar to the game of “hurling” played by men. 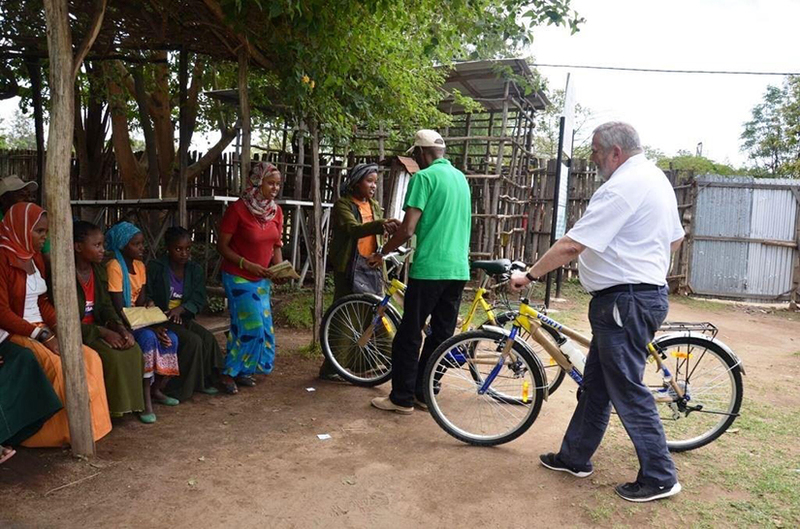 This three-year partnership is supporting ChildFund Ireland’s Dream Bike Campaign, providing bicycles to vulnerable girls in Ethiopia and Thailand so far. The project has reached hundreds of girls to date, enabling access to education. With the bicycles, all sourced locally, girls can travel to and from school safely and regularly. Star Camogie players from Ireland have visited the girls in Ethiopia that are benefiting from the initiative and also organized a game of Camogie with the local girls. In response to a question about his proudest achievement with ChildFund, Mick said he prefers to focus on the “smaller” achievements. He recounted a story that took place earlier this year on a ChildFund Alliance program visit in Zambia. During a community visit, Mick was inspired to commit to raising the funds from his own network to fund the teacher training education of one of the young women in the community. He noted that through this small act, she will teach thousands of children for years to come. Mick raised money to pay for this young woman’s teacher training. This will benefit thousands of Zambian children in the coming years. On behalf of everyone at ChildFund Ireland we would like to sincerely thank Michael for his years of service and wish him good health, and the very best of luck, as he enters into his retirement.